CEO of Tirian International Consultancy and co-author of the breakthrough new book The Innovation Race: How to change a culture to change the game along with international bestseller Who Killed Creativity?... And How Can We Get It Back?. Innovation culture thought leader & bestselling author. 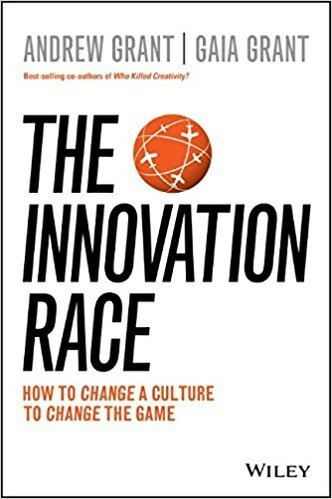 Andrew Grant is the CEO of Tirian International Consultancy and co-author of the breakthrough new book The Innovation Race: How to change a culture to change the game along with international bestseller Who Killed Creativity?... And How Can We Get It Back?. As an executive level global culture consultant and facilitator, Andrew has been engaged by market innovation leaders to help create a culture of innovation including: Nestle (sustainable solutions for emerging markets in Switzerland); Four Seasons Hotels & Resorts (preparing the exec team for the future of the hospitality industry, Canada); Disney (creating compelling ideas for marketing, HK), Mercedes Benz (assisting with innovative brand positioning, China), Estee Lauder (reimagining regional retail models), Salesforce (looking at the future of marketing and the customer journey), UAE Prime Minister’s office (to help Dubai and the region develop future leaders in innovation), along with a number of large finance institutions (eg assisting with dealing with changes to regulations). In his role as a keynote speaker, Andrew has been in high demand internationally: including delivering the opening keynote at the Young Presidents’ Organisation (YPO) Global Leadership ROW Conference, Four Seasons Hotel International CEO Conference, and World Innovation Conference, TEDx, and he has shared the stage with recognised names such as Dr Steven Covey, Tony Buzan, and Jonas Ridderstrale. Andrew has also delivered a series of headline keynotes at extended international roadshows for Fuji Xerox, Salesforce, and Citibank. Andrew has a wealth of knowledge & experience working internationally, and is both globally minded and culturally fluent, resulting in sessions that are always relevant and sensitive to both the local mindset and diverse audiences. He consistently receives the highest rated feedback for his sessions. He has co-authored over 30 corporate educational resources, simulation and programs in total, which are used by Fortune 500 companies worldwide. Companies such as Visa use Tirian programs as an induction program for every new manager worldwide. Andrew’s significant success comes from the fact that he is not only able to talk intelligently and engagingly about the important elements of creative thinking and innovation, but it is easy to see in everything he does. As a result Andrew has been featured in a number of international media including BBC and ABC TV along with commercial TV, Reuters, Harvard Business review, Fast Company and the Wall St Journal. As a dynamic husband-and-wife team, Andrew can team up with his partner and co-author, Gaia Grant, who is also a Director of Tirian Consultancy. Gaia is a doctoral (PhD) researcher innovation culture and sustainability at Sydney University Business School, where she is also a lecturer. Outside of their corporate work, Andrew and Gaia have also worked on breakthrough pro bono education projects across Asia, including designing educational material that has been targeted to reach over 25 million people in developing countries worldwide. this 4 hour keynote to our analysts was extremely well received, thoroughly enjoyable, very professionally put together ... with some great takeaways." "It helped me see myself in my working environment. It's made me aware of how to approach my team-mates not to offend them or push their hot buttons and also for me to let my team know what makes me tick. At the end of this keynote participants will develop the ability to look for solutions outside their standard boundaries and habitual ways of thinking. THIS session takes the participants on a journey from the classroom to the boardroom, helping them understand the current creative thinking crisis. It looks at the implications in the workplace of a number of dramatic statistics, and shows how it is possible to rise above these stats and develop a creative and innovative culture. THIS session explores the difference between an ordinary organisation and one that has a culture of creativity – revealing a 40000 year old secret to dealing with disruptive innovation. This session reveals why it’s going to be critical to become a creative and innovative organisation, and demonstrates how organisations can best prepare for the future. The future is described as a place where small companies topple the large, the super large eat up industries, and customers will innovate with or without the organisations: good news for the prepared, but devastating for those in denial. This session will encourage participants to see the importance of thinking ahead and being prepared, showing that creative thinking is no longer a luxury for the gifted few, but a necessity for survival. At the end of this session participants will be able to identify the importance of harnessing disruptive innovation and creating a positive innovative culture, facilitate better decisions by showing how to pay close attention to signals that point the way forward. AND help question unconsciously held biases and world views to come up with authentic alternative realities. 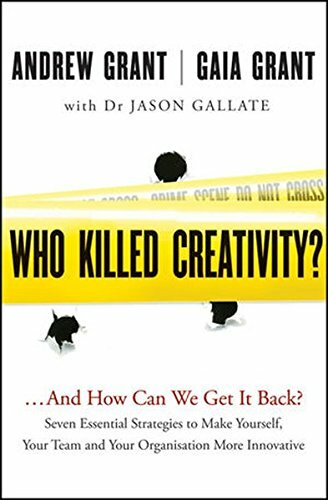 The Crime: Is Creative Thinking Dying? An IBM survey of over 1500 CEOs has revealed that creative thinking skills are the greatest attribute needed for leaders in the next 5 years. And yet research has shown that while IQ has been on the rise, since 1990 creative thinking (CQ) has been rapidly declining. Whilst 98 % of children are ranked as “geniuses” in divergent thinking, by adulthood this number has dropped to a mere 2%. The Forensic Lab & The Neuroscience Of Creative Thinking. Why is it important for adults to learn to play intelligently, and why is having “down time” simply not good enough for creating an innovative environment? How can individuals capitalize on the power of the neural network to create profound “Eureka!” moments? Creative Scene Investigation: Understanding Innovative Cultures: What can block creative thinking and innovation in & why is it important? CEOs say it’s the #1 “leadership competency” needed for the future, and yet CQ testing shows it’s on a worldwide decline. Explore why creative thinking is important, and how it can be blocked, through a diagnostic tool delivered through a CSI style interactive simulation. Participants will match their knowledge against the latest brain researchers and sociological experts to find out the blockages in individuals, teams and organizations and discover how to counteract them. In this interactive and lively workshop, the authors take participants through an interactive game-based simulation. In this simulation individuals and teams can match their experience with the latest neuro-scientific and psychological research to discover what blocks creative thinking in general and in their organisation in particular, and then discover how it’s possible to rebuild an innovative culture. The board game provides an engaging interactive context for exploring the problems associated with the potential death of creative thinking and innovation. The participants are encouraged to identify WHAT is responsible for the demise of creative thinking, and HOW & WHERE it has been stifled in organisations. They are then shown how to rebuild a culture of innovation through 7 practical ‘rescue strategies’. Information about the latest neuroscientific and psychological research on creative thinking. Strategies for developing creative thinking in yourself and others. Specific solutions for identifying blocks in creative thinking and innovation in participant organizations. The Rescuers: Creative Thinking Rescue Strategies (design thinking) Creativity can occur in any company on a haphazard basis. But how can leaders promote creative thinking as a way to solve problems better, faster and more cost effectively? ​This session focuses on the key rescue strategies and works through them to show participants how they can use these strategies to develop their creative thinking skills. It reveals a model for developing human centric DESIGN THINKING, IDEATION & CREATIVE THINKING that directly addresses the key creative thinking blockers, and works towards creating a positive organizational culture that supports creative thinking and innovation. The practical and immediately applicable approach provides a valuable structure for promoting creative thinking on an ongoing basis. Rescue approaches include: 1. Enquiry: Opening up thinking, 2. Exploration: Imagining options, 3. Solution: Making connections, 4. Application: Testing for implementation. At the end of this workshop participants will have learnt a practical model for developing creative thinking and will have had practice in using it. Building high performing work teams and assisting diverse teams under pressure. A dramatic themed program that simulates an expedition to Antarctica to look at the effects of pressure on diverse teams. Program Concept Is the future of the new team ‘on thin ice’? Contemporary teams face increasingly difficult challenges and require extra cohesion to function positively for corporate success. Diverse international teams are becoming the norm, creating virtual communities that must span long distances, or even cross the globe. It will be important for the organization of the future to take precautions to prevent team fissure and avoid the dangers of being stuck ‘on thin ice’. Through highlighting the issues that teams often face as companies attempt to keep pace with rapid technological and organizational change, it is possible to be better prepared for the impact. Description ON THIN ICE is an experiential learning simulation workshop that takes participants through the simulated experience of an exciting themed challenge set in Antarctica. In a frozen environment, groups must navigate around the continent as virtual teams and find ways to prevent icebergs from breaking away – learning to deal with different perspectives. Throughout this task, the overall team performance needs to be coordinated and information must be effectively shared in order to reach a common goal. Fascinating facts from NASA research and actual Antarctica expeditions are woven into engaging and entertaining exercises in which individuals form expedition groups that have the opportunity to ‘explore’ beyond their current experience into the future. Among the challenges in this program are the special needs of virtual and cross-cultural teams, contemporary team communication, leadership and individual responsibility…and much more. The session provides specific takeaway tools for ongoing team development, including the practical ‘ICE’ strategy: Identifying needs and planning, Communicating and clarifying, and Evaluating. 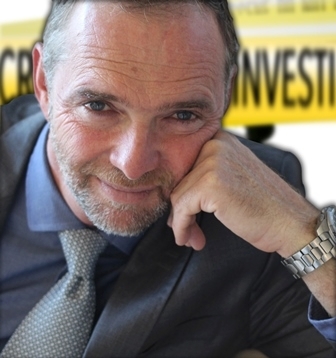 Andrew and his team can integrate all of the above Creative Scene Investigations sessions to offer a full solution based comprehensive training program. The material can also be licensed (for large deployment) by way of train the trainer. This ensures that a whole company can be reached and culture changed. Over the last 20 years Tirian has developed expertise of building a culture of innovation and creative thinking in a business, and assisting companies to solve difficult problems using critical thinking models. Using a range of techniques we can tailor a process to suit your situation from immediate inspiring events, to long term interventions around culture change. These techniques can identify and address individuals, team and organizational creative blocks and solutions. The ‘Creative Scene Investigation (CSI)’ / Creative Scene Investigation suite of programs leads to transformation through innovation – revealing how it is possible to produce superior results through better problem solving skills, unique design thinking strategies, and more efficient and effective work practices (‘doing more for less’). • Help organizations innovate better through developing systems and building an awareness of customer needs. • Facilitate better decisions by showing how to pay close attention to signals that point the way forward. • Implement methodologies for practical, creative resolution of issues that looks for an improved future result. Through utilizing a human centric design-thinking methodology and incorporating the process of ideation, both the consulting sessions and face-to-face workshops use a solution-based approach. This enables organizations to explore solutions and come away with real business issues solved plus a strategy and tools for solving potential future issues. “Both the book and the “roadshow” are captivating. Andrew Grant has star quality and uses it positively. Andrew has worked on leadership and team development around the globe for more than 15 years, but his presentation still yields the bravado of youth, nicely seasoned with the wisdom of a recognised leader in his field. He’s young at heart, and ferociously clever with it”. "You gave us compelling ideas that are worthwhile for use in our marketing." “Andrew has the capacity to magically captivate your audience, regardless how jet-lagged they are, and transform the meeting place into an open and receptive arena that serves as a great springboard to talk about change towards more innovation”. Andrew Grant has star quality and uses it positively. Andrew has worked on leadership and team development around the globe for more than 15 years, but his presentation still yields the bravado of youth, nicely seasoned with the wisdom of a recognised leader in his field. He’s young at heart, and ferociously clever with it. Andrew has the capacity to magically captivate your audience, regardless how jet-lagged they are, & transform the meeting place into an open & receptive arena. A great springboard to talk about change towards more innovation.